I'm pleased to announce a solo show of my work at Gallery Seven in Maynard, MA. The show will be up from February 19 through March 30 and will feature many of my large-scale architectural paintings done in 2018 and 2019. The paintings feature my hometown of Boston and some of favorite motifs from the unique style of architecture of the Back Bay to the modern buildings downtown. 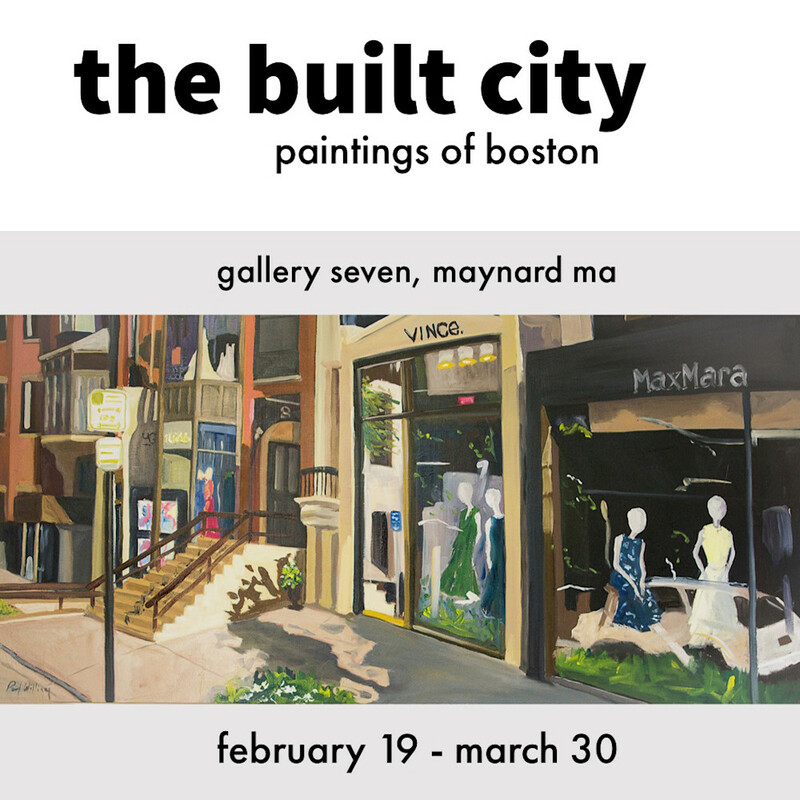 The Built City, Paintings of Boston will be up for 6 weeks and there will be a gallery opening party on Saturday March 9 from 7 to 9pm. For those of you nearby I hope you can make it!